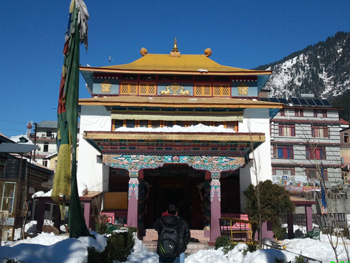 Built in 1960 by Tibetan refugees and also known as the "Gadhan Thekchhokling Gompa," this renowned Buddhist monastery is one of the finest attractions in Manali. 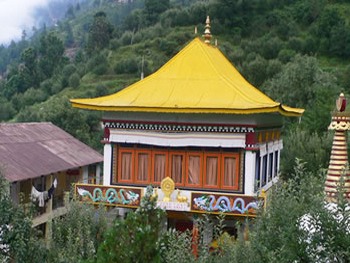 This prominent monastery is small in size, but the spiritual energy exuded by it is boundless and which is why countless tourists from all corners of India visit this divine place to seek blessings. The monastery houses a majestic façade that is complemented with a pagoda-style yellow roof and inside there is a large image of Buddha and exquisite murals that demonstrate Buddha's philosophy of non-violence. 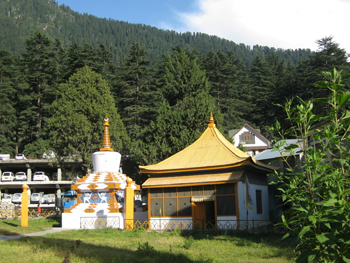 Within the complex, there are small shops that sell unique Tibetan handicrafts and carpets.